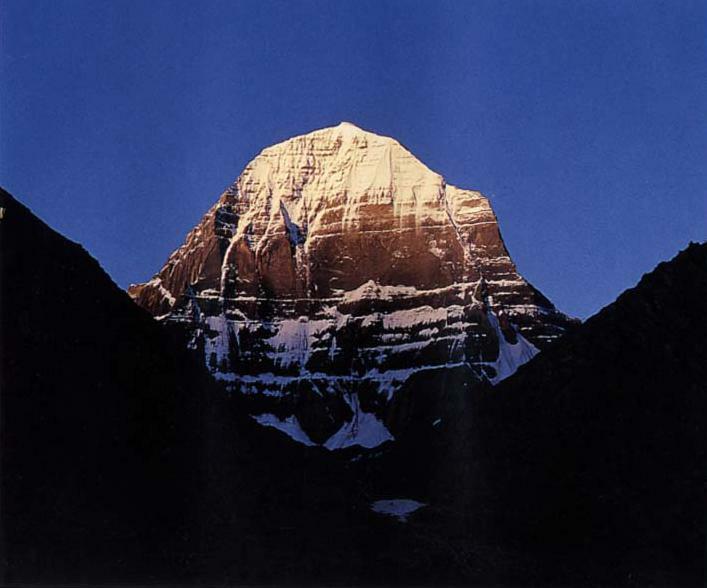 Welcome to Tibet “The Roof of the world” is a great land of beauty and mystery of tourists, mountaineers and explorers,.When you step on the soil of the Roof of the wold ,climb upon the world’s highest peak,put on the beautiful Tibetan dress ,ride the Tibetan pony or yak-“the boat of the alpine plateau”look at the melting of the charming pastoral songs,spend a night in a nomad’s tent,taste a mouthful of aromatic sweet tibetan barley beer,drink a cup of specially flavoured yak –butter tea ,eat some tasty mutton,sit around blazing,crackling fire,enjoy the melodious music from the “Dannijan”six-stringed lute,bask in the romantic charm of a night on the high plateau grasslands and explor on foot the mysterious,uninhabited,open spaces,the holy mountains and the sacred lakes ,you will have on overwheliming and intoxicating experince which will be the most unforgetable time in your life. Day 01: KATHMANDU (1300) - ZHANGMU (2,500M)/NYALAM (3700M): 123 KM/156 KM-Early morning scenic drive to KODARI (Nepal - Tibet border) through the beautiful Nepalese countryside and after necessary border formalities both at Nepalese, an hour adventurous uphill drive by truck (normally) or 2 hour walk uphill (in case of landslide) to Chinese immigration, check-in to hotel or continue drive to NYALAM. Overnight at hotel. <?xml:namespace prefix = st1 ns = "urn:schemas-microsoft-com:office:smarttags" />DAY 02 ZHANGMU/NYALAM – TINGRI (4300M)/LHATSE (4,350M): 225 KM/244 KM-Day drive uphill to the highest plateau of the world with the typical view of Tibetan landscape offering sheer feeling of standing on the roof of the world crossing over LALUNGLA (5,050 M), from where, weather permitting, breathtaking panorama of beautiful Himalayan ranges including MT CHO OYU (8201 M) & MT XISHAPAGMA (8012M) but dwarfed by the vastness of the Tibetan plateau. 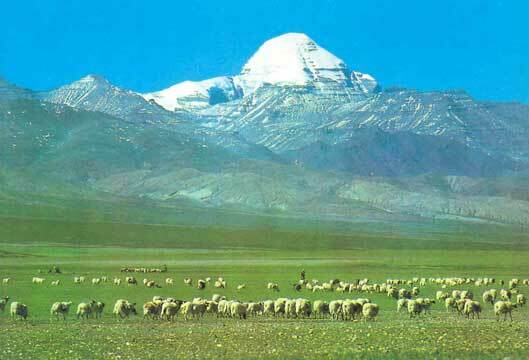 From TINGRI, one can ENJOY the magnificence of MT. 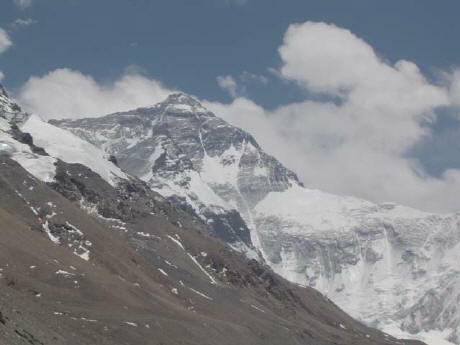 EVEREST (8,848 M). Overnight at hotel. DAY 03 TINGRI/LHATSE - XIGATSE (3,900M): 244 KM-Continue scenic drive crossing over GYATCHU LA (5,220M), the highest pass en route to LHASA via LHATSE from where a road to MT KAILASH bifurcates to the west. Overnight at hotel. 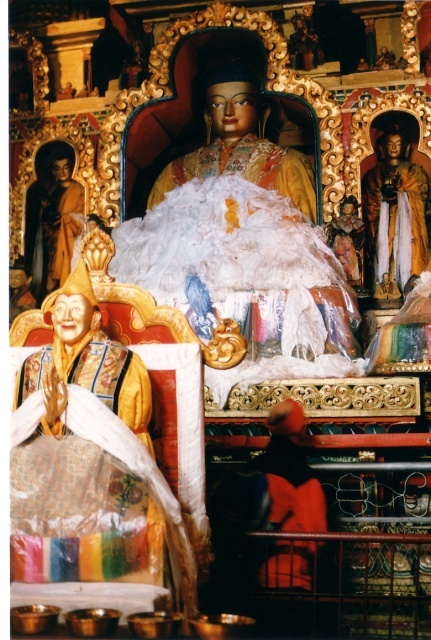 DAY 04 XIGATSE - GYANTSE (3,950M): 90 KM-Morning sightseeing to the PANCHEN LAMA’S TASHILHUMPU MONASTERY. 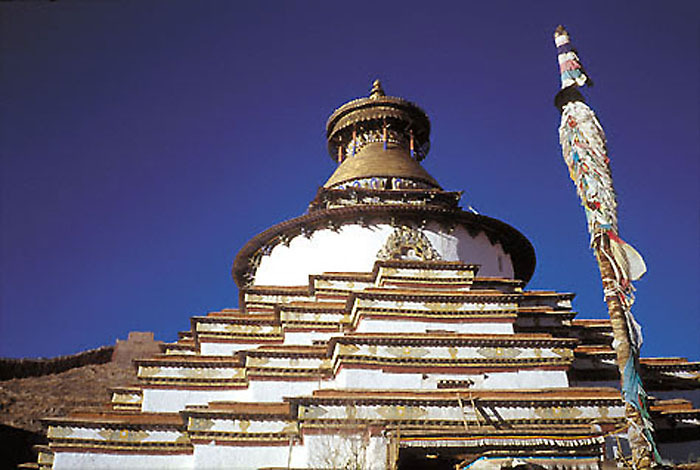 Drive to GYANTSE and visit to the KUMBUM STUPA & PHALKOR MONASTERY. Overnight at hotel. 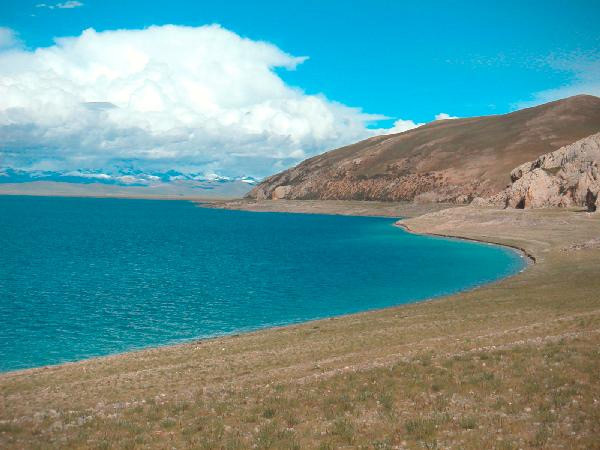 DAY 05 GYANTSE - LHASA (3,650M): 261 KM-Full day picturesque drive crossing over KAROLA (5,010M), KAMBALA (4,794M), colourful YAMDROK LAKE and the Tibetan lifeline river BRAHMA PUTRA (YARLUNG TSANGPO) – Overnight at hotel. 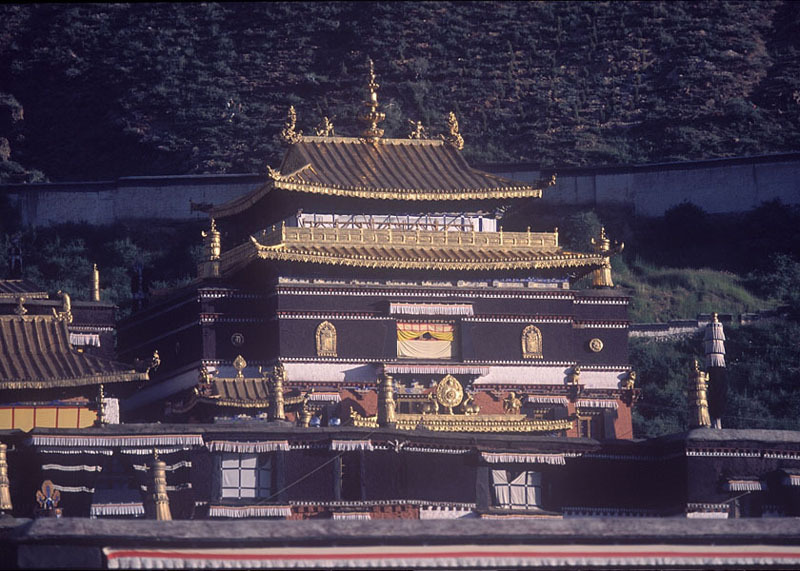 DAY 06-07 IN LHASA-Two full days sightseeing tour to LHASA including JOKHANG TEMPLE, BARKHOR BAZAAR, POTALA PALACE DREPUNG & SERA MONASTERIES. Overnight at hotel. 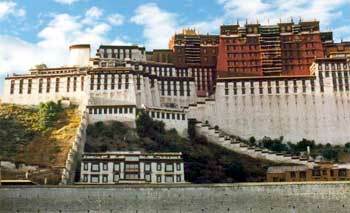 DAY 08 LHASA - KATHMANDU:-Early morning transfer to airport to catch a flight back to Kathmandu.